In the late 1990's the Government announced a special National Lottery Programme for the building of Village Halls to mark the approaching Millennium. At this time East Peckham had a Vicarage Hall, a “temporary” timber structure erected in 1892 while major alterations were carried out in the church which was attached to the northern elevation of the vicarage, it was draughty, riddled with woodworm, lacking in heating and in need of major refurbishment. A group of parishioners from Holy Trinity Church conceived a plan to build a new hall for the Millennium. Fortunately the group included an architect, an electrical engineer, a planning consultant a lawyer and a quantity surveyor so little expenditure was incurred developing the scheme. The piece of land lying between the vicarage and the church was bought by a benevolent supporter’s family from the local farmer to be divided between the church (to provide an extension to the rapidly filling existing churchyard) and the new village hall. Although the land was within the existing green belt, planning permission was obtained subject to landscaping conditions. After much form filling and fund seeking letters, grants were promised from the special National Lottery Fund, Kent County Council, Tonbridge & Malling Council, the Parish Council, and donations from local businesses and private individuals. Fund raising boosted the total and made the project possible. A condition of the major funders was that the new Hall would be a public site and not linked to the Church. Work on site started in the spring of 1999 and was completed within the 1st quarter of 2000. Further monies were raised, including grants from the Parish Council, towards the costs of seating, stage lighting and other fixtures and fittings. 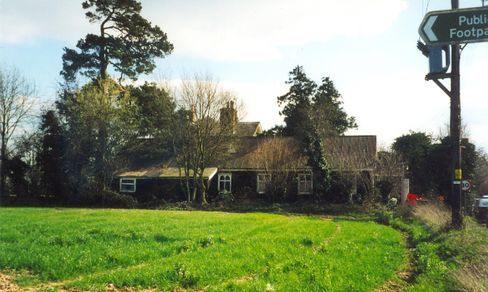 The Architect was Roger Molyneux RIBA and the Contractor BBS Construction Ltd.
A planning condition required the demolition and removal of the old Vicarage Hall within 3 months of the opening of the new hall and the reinstatement of the vicarage garden. A company limited by guarantee was established before construction works started and currently has eight non paid Trustees/Directors who by rotation offer themselves for re-election every third year. Of these six are members of the original concept group. East Peckham Village Hall is a registered charity. The company has now been successfully trading for 17 years with many regular users and competitive rates for one-off hirers.